True love exists! People prove it all the time, showing their genuine care and trying to give as much as they can for happiness of the other half. The couple from Japan, Mr. and Mrs. Kuroki became well- known for the whole country for the act of love and infinite devotion Mr. Kuroki showed for his wife. She lost her vision as a complication from the diabetes, and this made her distant and depressed. They had a happy life, working on their farm, raising daughters, and now it all became just shadows. Her husband did all he could to support his wife, abut nothing seemed to work. All in all, Mrs. Kuroki even refused to go outside. And then her husband created a perfect reason for her to do so. He started to plant a garden full of flowers, it took him two years but hard job brought its magnificent results. The wonderful aroma from the flowers became the motivation for a blind woman to go out and enjoy the scent. He is a husband any woman would wish to have! Mrs. Kuroki understands it now how happy she is to have him. The beauty of the floral fields Mr. Kuroki created attracts visitors, so they often have guests! They come to admire the flowers and take video tours at the farm. 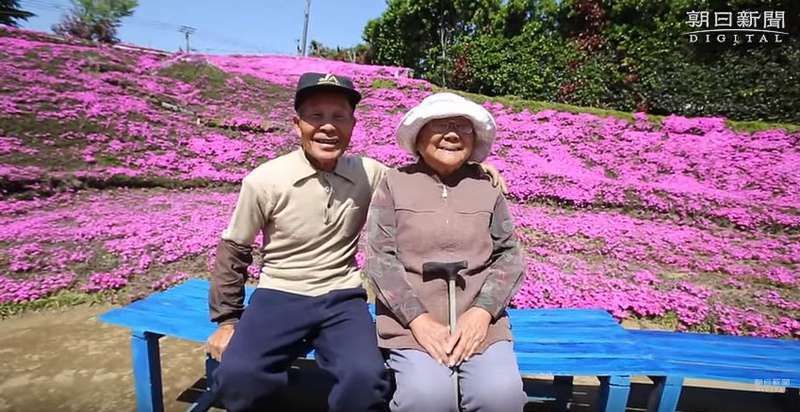 The amazing flowers became the living proof of his strong commitment to his wife.